Monday Mailbox is hosted this month by At Home With Books. I hate being sick. Makes my head groggy. Makes me forgetful. I received two ARC's this week, and they're both in the room I'm not typing in right now, and I've had to get up three times to get the titles right because I keep forgetting what they are. Mess. The Darlings is Christina Alger's debut novel, due out on February 20th. THE DARLINGS is one of the first novels set during the fall of 2008, when New York is newly reeling from the financial crisis. It follows the interwoven stories of the Darling family, two eager SEC attorneys and a team of journalists, as they race against one another over the course of one weekend to uncover—or cover up—the truth. Compared byLibrary Journal to the novels of Dominick Dunne and Tom Wolfe, THE DARLINGS is part family drama, part corporate thriller, and offers an irresistible glimpse into the highest echelons of New York society—a world seldom seen by outsiders. There will be a giveaway for this book in mid-February. Stay tuned! Dean's novel came out last year, and this is its first paperback edition, due out from Riverhead Trade on February 7th. Don't you just love the cover? The watercolors with the slight skew and the uneven coloring...I love it! These (2) look great --enjoy. Both books look good. I hope you're feeling like your old self soon! The cover to The Old Romantic is beautiful. both of those books look like great reads. I hope you enjoy them. Happy Reading. I hope you enjoy! them. 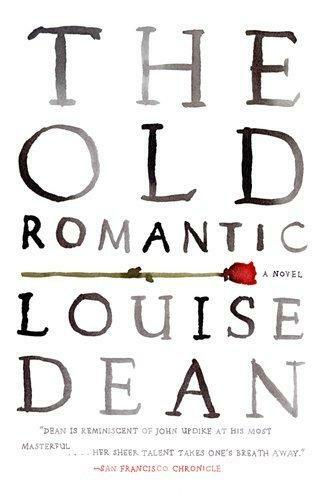 Yes, I love the cover of The Old Romantic and after reading the Goodreads synopsis have added it to my wish list. I've heard good things about The Darlings. I have The Darlings also. It looks good, doesn't it? I hope you feel better soon! I'm curious about The Darlings - I wonder how intense it's going to be.